Hi Everyone! Welcome to the first episode of the Light Novel Podcast! This episode is mainly an introduction to the voices you’ll be hearing in the future, what brought us into the light novel fandom, and some general thoughts on what light novels are, and why they matter! What got you interested in Light Novels? What is a Light Novel? Does a Light Novel have to be from Japan? What do Light Novels give you that anime or manga don’t? My Reincarnation as a Hot Spring in a Different World is Beyond Belief ~ It’s Not Like Being Inside You Feels Good or Anything!? Wow! Great podcast everyone. It took me two days but I finally got to listen to the everything in its entirety. I think that everyone hit on a lot of really good points but I think that you side stepped one really big part of a title becoming a Light Novel and that is the Web Novels. Now I’m no Light Novel expert, but I am seeing that a lot of the more recent titles becoming light novels have at first needed to be a very successful Web Novel. I think that this is true with many of the newer titles that have been released both over in Japan and here in the English-speaking world. As such, I think this is a topic worthy of some discussion. A couple of my favorite titles have gone through this process into becoming a Light Novel. “Rising of the Shield Hero”, “Death March” and “How a Realist Hero Rebuild the Kingdom” to name a few have all started out as successful Web Novels before they became successful Light Novels. It’s no longer the progression of, in most cases not all, 1> Light Novel, 2> Manga and 3> Anime. Now it’s more like 1> Web Novel, 2> Light Novel, 3> Manga and 4> Anime. Why has this change occurred? Well just look at how many different titles and ideas there are out there for Light Novels. There are hundreds to thousands of titles and ideas out there. Obviously, there are more ideas than titles because not every idea makes it to being a published Light Novel. Publishing and editing companies just can’t sort through all of them so they did the next best thing. They let the world wide web do it for them. It’s actually really smart. If a Web Novel builds up a steady successful following of readers that author is contacted by a publishing company, partnered with an editor, and the Web Novel gets re-written as a Light Novel with the help of an editor guiding a young author into hopefully becoming a successful Light Novelist. I would even venture to say that the English publishing companies may even take a look at some of the fan translations sites to see which titles are being frequented any how often. This may help them decide which titles to invest in trying to license and publish from the Japanese companies and bring to us in the form of an actual honest to goodness translated product be it in print or digital. I don’t know if this is true or not but it sounds probable. While this topic wasn’t covered during your podcast I do think that this is a topic worthy of some discussion as to what makes a Light Novel a Light Novel since in today’s world of main stream media it seems that the Web Novels now play a very vital role in what titles actually make it to an actual Light Novel backed by a publishing company. Just a question with some of my thoughts attached as food for thought. Just happened to find your podcast when I was looking for something to listen too on my long drive to my mother’s house. It was the perfect listen for the ride and kept the drive from getting monotonous. One thing that you slightly touched on was how Light Novels used to be shelved with other fantasy/sci fi books but are now moved to the manga section. 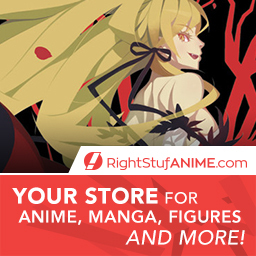 Do you think if they had, say, their own section next to the manga section that they might become more read by people outside of the anime/manga community? I’ve always felt that putting them in with the manga, while giving ease of accesss to the people looking for it, basically dooms the books to not live in the mainstream or public eye. Do you guys think this is the case, or do you think I am just overthinking things? I don’t believe you’re overthinking things at all. With the books mixed in with manga, they’re only being found by those who are specifically looking for them. Which, as you point out, does nothing to build a separate audience. I guess that’s part of what drives me to do a YouTube channel, podcast, & hit some local anime conventions to talk about light novels. I hope that maybe someone will be curious and check it out and get turned on to them.